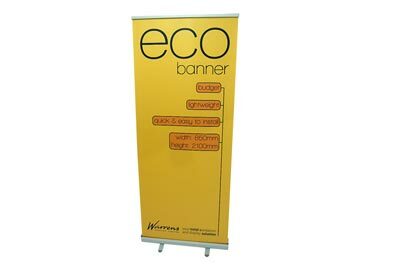 Here at Warrens Display we offer a wide range of roller banner stands, giving you flexible sizing options and the choice between single or double-sided. As a full-service exhibition and banner specialist, we can also provide a graphic designer to help you make a big impact and turn the heads of new business prospects. Easy to store and transport, this type of exhibition display stand can be used time and time again - and our great prices and extensive experience will ensure a great ROI. 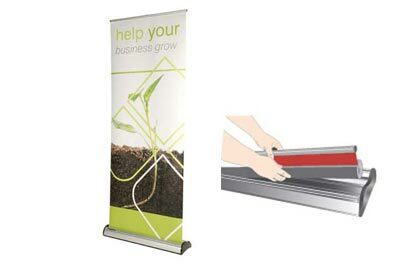 Roller banner stands are essentially like a roller blind, in that the graphic is stored inside the base and extends and retracts as needed. The print is rolled around a tensioned roller mechanism inside the base, keeping it protected from accidental damage in transit. 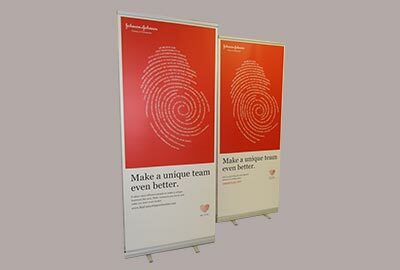 These exhibition display stands are supplied with either a telescopic pole, or one-in-three sections bungeed together, to hold up the tensioned graphic. 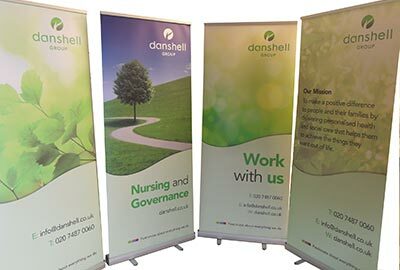 All our banner stands are supplied with a carry bag and full colour, digital graphic, designed to your exact specifications. Hook the graphic bar on to the top of the pole. 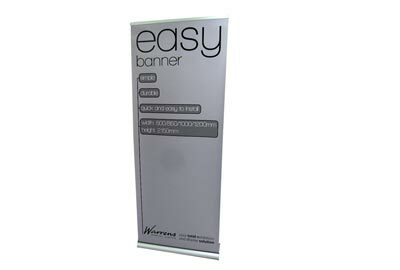 Cassette roller banners are a similar type of exhibition stand, but the base holds a cassette that can be easily removed and replaced - something you can easily do yourself. The idea is that you can buy one stand and several different roller cassettes, all loaded with individual designs, allowing you to ‘chop and change’ graphics.